This is a quick sketch I did of Ryan Gosling. I think he's a cool cat with an interesting face. 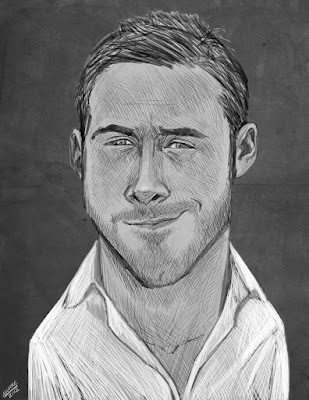 I had just seen the Ides of March and Drive when I did this sketch. I wasn't impressed at all with Drive. The character design is cool but the movie is slow as hell. I expected more I guess. The Ides of March was good. Hope you like it.